We’re always learning new things about concert fan emotions and how live music plays a major role in helping us cope with loss, grief and trauma. That said, it again saddens me to share news about another artist who has died this year. GWAR guitarist guitarist Cory Smoot (aka Flattus Maximus) was found dead in the band’s tour bus and the cause of death is not yet known. Thank you to GWAR fan Tromafilmfan for sharing the YouTube video above which captures Smoot’s last show at Minneapolis, MN on 11/2. Our thoughts and prayers go out to Smoot’s family and friends. 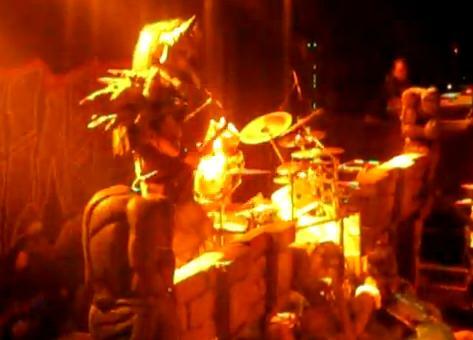 And like we’ve done before with our ongoing live music mourning exploration, we invite you to share your favorite GWAR concert moments too. Go ahead and post them in the comments below and we’ll feature them in a future episode of Live Fix Radio. Why Did Fans Riot at Metallica Concert in India?